Schedule of Written Examination Test For Various Posts in Diffrent Departments. Written Examinations/tests for following posts will be held at Lahore Rawalpindi And Multan (simultaneousty) as per detail given below. 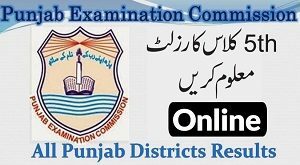 Details of Examination Centers and Roll Numbers have been uploaded on Punjab Public Service Commission’s website www.ppsc.gop.pk. AH candidates are directed to note and download their Roll Numbers with respective Examination centres from the website. No individual Admission Letter/ Roll Number Slip would be issued / posted to any candidate. Candidates are requested to report at their respective examination centres one hour before the commencement of the papers.